It sure seemed important back then. Maybe it was simply youthful rebellion. Or, you wanted a constant reminder – something you would remember forever. Now, it won’t let you forget. So, what was such a big deal all those years ago remains a big deal today for a different reason. It’s a tattoo. If you have one – or even two – you’re not alone. A 2007 study published by the Journal of the American Academy of Dermatology reported that nearly a quarter of all Americans between the ages of 18 and 50 have a tattoo. If you’re thinking of removing one, again, you’re not alone. Many Houston residents are discovering that, in terms of meaning in their lives, their tattoos aren’t what they used to be. The good news is, neither is removal. In the past, removing a tattoo involved direct abrasion, surgery, and sometimes skin grafts. The procedures were often extremely painful, only minimally effective and caused scars. North Houston Laser Tattoo Removal can remove your tattoo with the latest technology. If you’ve had body art for several years, you’ve probably noticed that it’s not as bright as it used to be. Tattoos slowly fade because your body attempts to remove the ink. Lasers speed up this natural process. 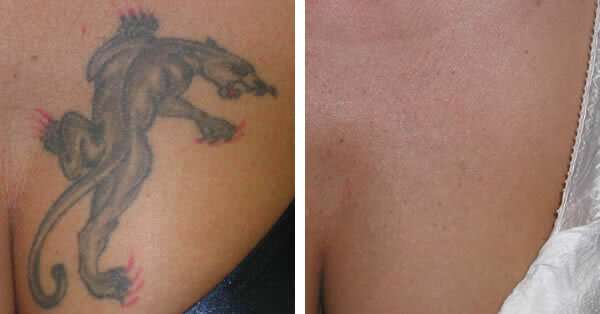 Utilizing intense pulsed light, your tattoo is targeted, light is absorbed, and pigment is vaporized. Finally, the color fragments into particles small enough to assist your body in the process of removal. Just as no two tattoos are exactly alike, how completely a laser ultimately removes one and just how quickly it does so depends on many factors: the color of your skin, the color of the tattoo (oranges and yellows are the most difficult), the size and location, whether it was applied by an amateur or a professional, and the age of the tattoo. Recently applied body art is more difficult to remove, requiring more laser treatments. Each procedure to remove a tattoo can take up to one hour. For complete removal, six to eight laser treatments are typically necessary. Side effects are minimal, including pinpoint bleeding and scabbing. There’s a very low risk of scarring, as well as hyperpigmentation or hypopigmentation (uneven skin tone). Depending upon the location, the pain associated with removal is similar to that of receiving a tattoo.